MCR Medical Blog » What Kind of Prestan Manikin Are You Buying? 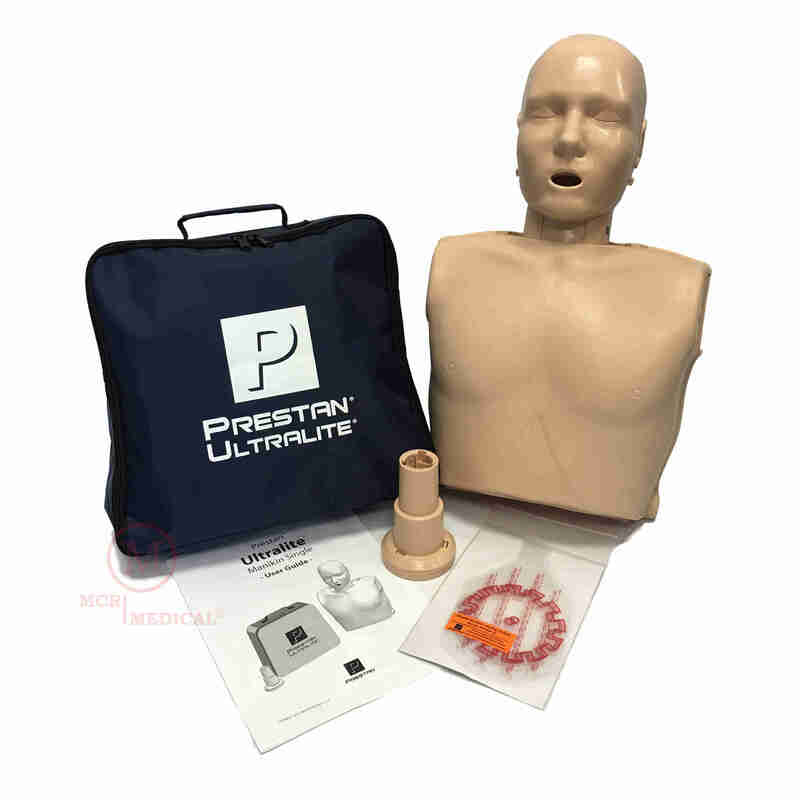 Prestan Manikins are 2015 ECC/AHA standards compliant and are approved for use in both American Heart Association as well as American Red Cross layperson and professional rescuer training courses. Most models (Ultralite excluded) either include CPR feedback devices (rate monitors), or the option to upgrade later. Prestan Products made a very simple “naming algorithm” for the majority of their products. I plan on dissecting that algorithm with you today in hopes of providing a better understanding of exactly what you are buying. I’m going to be referencing Item Number: PP-AM-400M-DS throughout this blog. If you’re a visual learning like me, this will be very helpful. A common trend you will see in the Item Number for Prestan Products is “PP“ at the beginning of their item. This identifies…You Got it….Prestan Products! The next portion of the Item Number is a series of letters such as AM, CM, IM, FM, JTM etc. These help everyone (buyer or seller) identify what type of manikin is being browsed or purchased. To check out all the The Prestan Manikins MCR Medical has to offer see our CPR Manikins page. If your manikin product code contains any of the above (AM, CM, IM, FM, or JTM) you have a Prestan Professional Series Manikin. These manikins are optionally capable of providing CPR Feedback compliant with recent directives from the American Heart Association and American Red Cross. See Section 4 to determine if the manikin originally came with CPR feedback. Got it? Great! Moving Right along! Next up in the Item Number series is a set of numbers ranging from 100-500. This is Prestan’s way of helping everyone identify how many CPR Training Manikins come in a package. See, it’s not that difficult when you actually know the science behind the naming procedure! Side Note: Some kits available offer multiple manikin sizes (adult, child, and infant) in one kit. An example would be the Collection or Family Pack that allows you to purchase adult, child, and infant manikins in one pack. Those particular packs are identified with a “FM” and come with either 3 Manikins (1 Adult, 1 Child, and 1 Infant) this Item Number would be PP-FM-300M or 5 Manikins (2 Adults, 1 Child, and 2 Infants) this Item Number would be PP-FM-500M. Now onto the Feedback Device identifying portion. Prior to the AHA referring to them as CPR Feedback Devices a lot of instructors knew them as Compression Rate Monitors or Monitors for short. That is where the “M” comes into play with Prestan’s naming algorithm. That random “M” is actually what helps you identify if your Manikin selection comes equipped with a Monitor/Feedback Device. So when you see that “M” (not to be confused with the “MS” that is identifying skin tone) you’ll know that your manikin selection comes with a Monitor/Feedback Device. If your manikin is one of the Prestan Professional Series manikins, as identified in Section 2, it is capable of being upgraded to include feedback, even if it didn’t originally come with rate monitors. See our Prestan Rate Feedback Monitors page for more information, including installation instructions. This is where there might be a little confusion…. but what about the Light Skin Tone? Where is the LS? Well, there is NO Light Skin Tone color designator. If you are looking for a Light Skin Tone Manikin, this section of the Item Number will actually be absent. You’ll notice that there is no skin tone in the 4th section. Oddly enough the actual absence of skin tone in this section identifies it as the Light Skin Tone. It can’t be that easy because of course with any algorithm there is going to be a wrench or two. Enter The Prestan Ultralite Series. At this time this series is only manufactured in the Medium Skin Tone and it does not currently have the ability to provide Feedback. 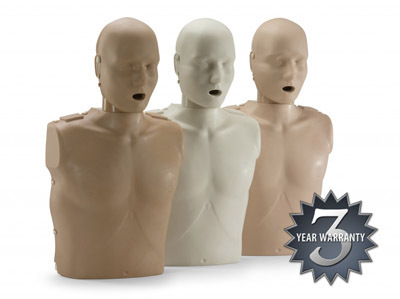 However, it is one of our most popular manikin series for a reason. That’s due to its light weight, easy storage and economical pricing! Check out the Ultralite CPR Manikin Series. 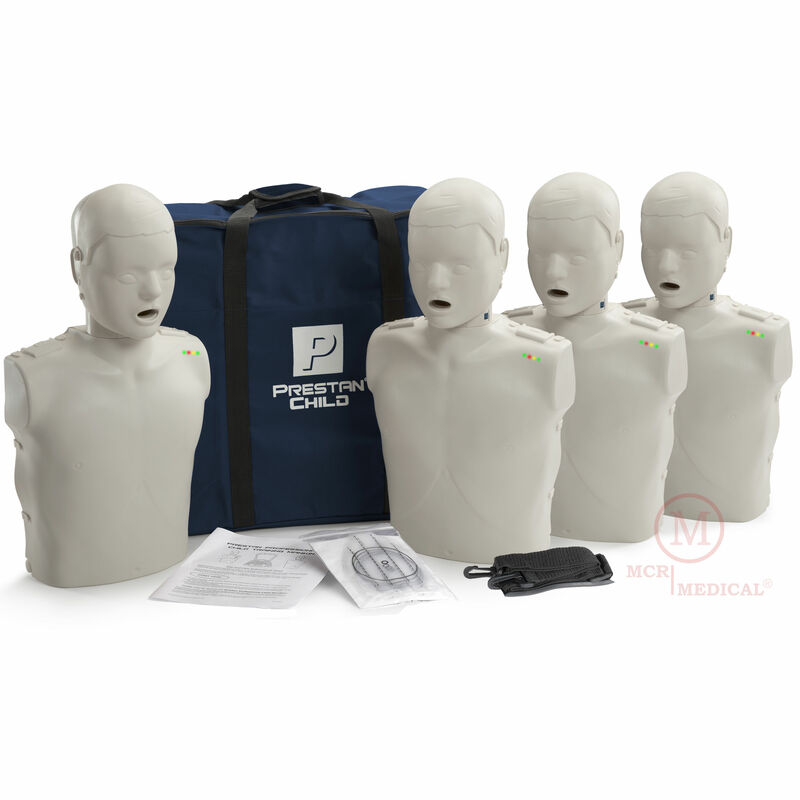 If you have any additional questions or concerns when buying a Prestan CPR Training Manikin please feel free to call us! We’d be more than happy to help you pick the right manikin for you!